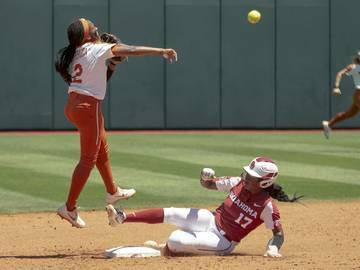 NEW YORK — Texas players were insistent. They came all this way. Why not win the NIT? Texas started slow, mashed on the gas and powered its way to a 81-66 victory over Lipscomb in the NIT championship game. Granted, no Longhorn wanted to even be here. The players would’ve much rather been in the NCAA Tournament. The Longhorns (21-16) came together the last two weeks, played for themselves and refused to cash out. This club finished the year on a five-game winning streak and joins the 1978 Horns as NIT champs. Senior Dylan Osetkowski capped off his strong postseason run with 19 points by hitting three 3-pointers and 11 rebounds. Fellow senior Kerwin Roach II had 16 points and a career-high nine assists. Four players total finished in double figures and Royce Hamm Jr. and Gerald Liddell made big contributions as Lipscomb (29-8) looked all out of sorts. When Roach got a run-out attempt and slammed home a 360-degree dunk with 2:33 left, it was all but over. Texas closed the first half on a 22-5 run. The Bisons’ trash talk kept the Horns motivated to run through the tape. In the first four NIT games, Lipscomb’s Garrison Mathews scored 14, 23, 44 and 34 points. He came into the championship game averaging 21.1 this season. Texas freshman Courtney Ramey drew the defensive assignment and just locked him down. Mathews had three points at the break — all free throws — and was 0-for-4 in the first 20 minutes. He was 0-for-7 before finally hitting a 3-pointer with 8:22 remaining. Ramey simply snuffed out the Bisons’ best offensive threat. Jericho Sims was getting abused in the early going, and the Bisons scored their first 10 points in the paint. Texas assistant coach Darrin Horn was practically screaming at Smart to put Royce Hamm Jr. into the game. He’s gotten off-and-on playing time, but the Horns needed a shot of adrenaline. Hamm had a man-sized rebound and put-back. Then, he practically jumped into the rafters to block Kenny Cooper’s layup attempt. Energy, just what the doctor ordered. It was part of UT’s 14-0 run to give the Horns an 11-point, first-half lead. This was not the ideal start. The Longhorns missed their first eight shots. Jase Febres missed two 3-pointers, Sims was called for sticking his knee out and Courtney Ramey got blocked going to the bucket. This team had flat starts before — most notably at Oklahoma State — and struggled to recover. But the defense was on point as the Horns forced five turnovers early. Texas didn’t score until Sims dunked with 14:55 left in the first half. 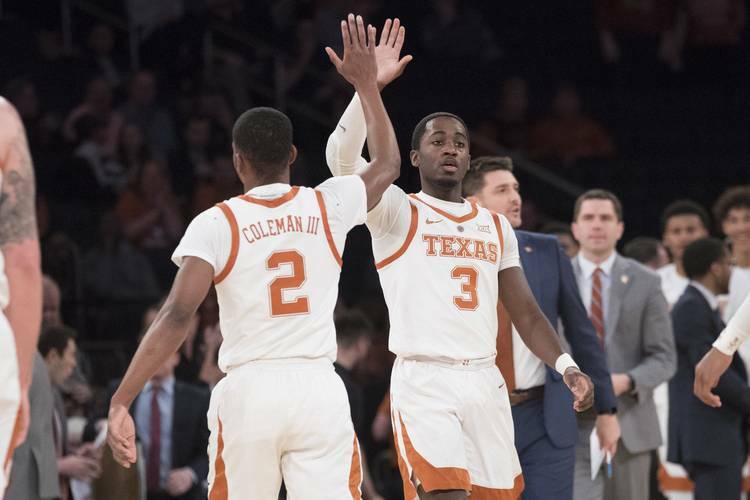 In a season where the Horns were woefully inconsistent in defending the 3-point line, they were sensational in New York. TCU was 4-for-21 from 3-point range in the semifinals. Lipscomb had only five made 3-pointers through the first 35 minutes. Freshman Gerald Liddell’s crazy-long wingspan swatted away Nathan Moran’s 3-point attempt on the right wing. That’s a wrap on the 2018-19 season. This was the longest Texas basketball campaign since the Final Four season in 2003. That final game happened on April 5. Deep down, these Horns would probably trade all these NIT wins for maybe a mulligan in the first half against Oklahoma State or the second half of Baylor. Or Michigan State. Or Texas Tech. Or Kansas. All of those games will make for good offseason fodder. 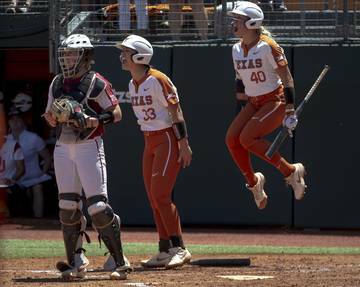 For now, Texas finishes with a 20-win season and plenty of motivation for next season.